Again. great Pictures and very interesting stuff. 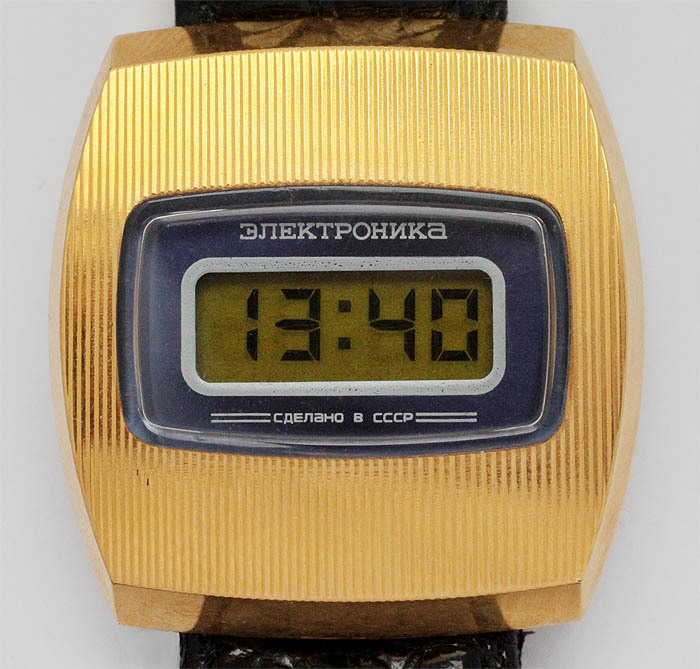 What I like most is the Information about the soviet watches. This is an important argument to keep the forum running so that the Information isn´t lost forever. i really love the simplicity in this design..very nice one. 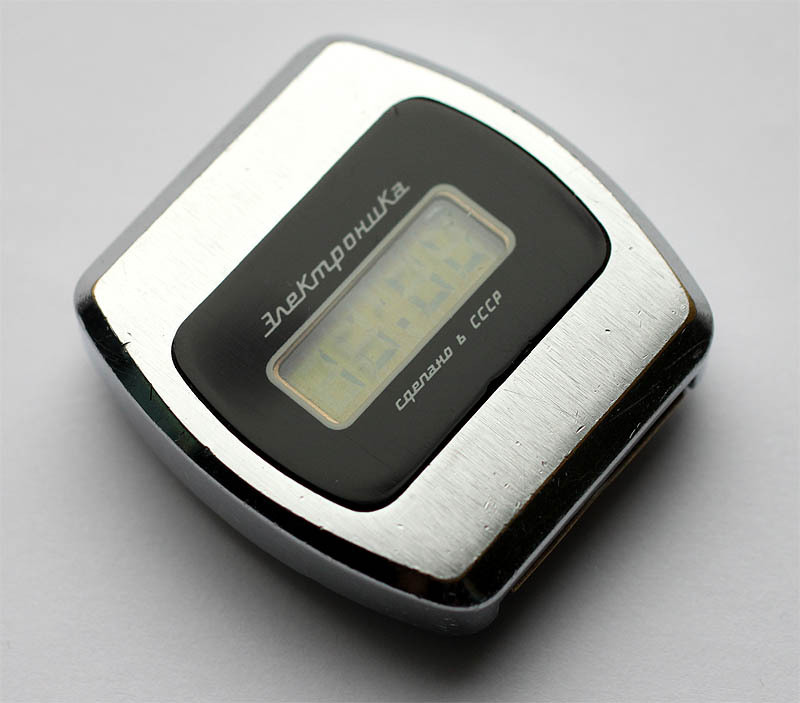 A small collection of earliest serial soviet Elektronika watches on traditional field effect LCD displays. Years of production November 1974 - March 1976. 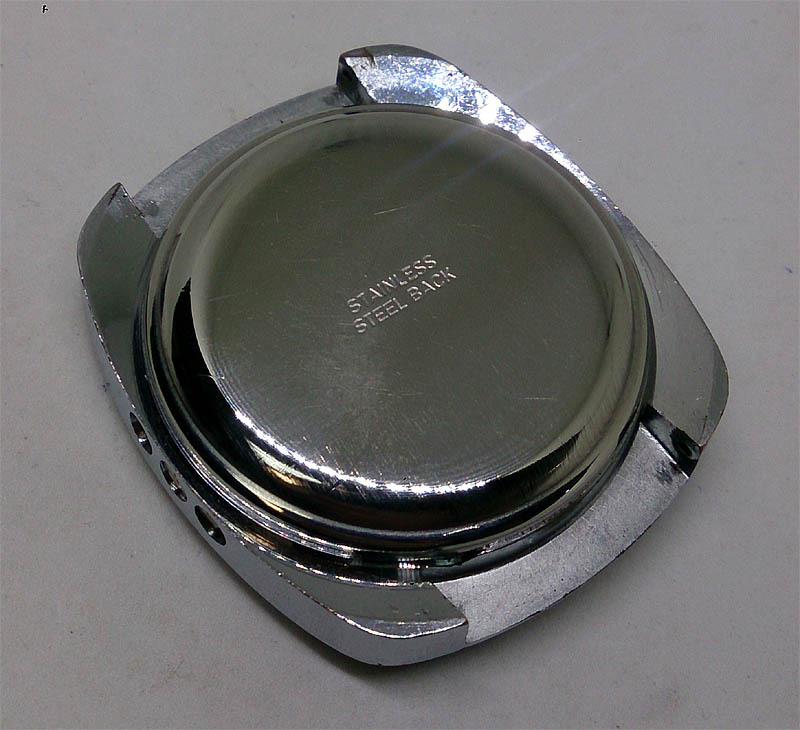 Approx 40000 timepieces were produced. I like the top right watch. Just a little different to the rest!. Great collection Andrew. 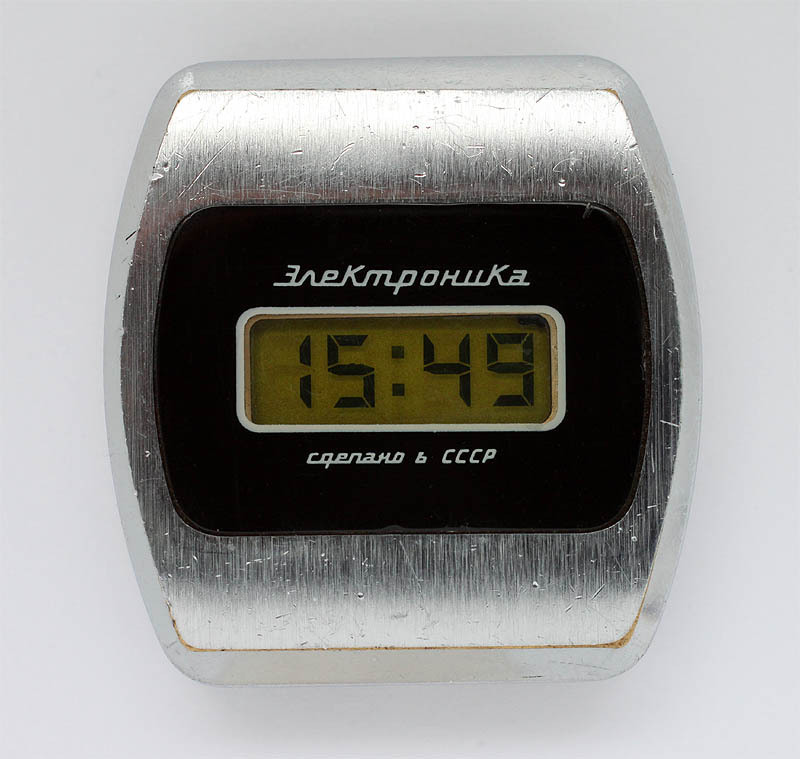 One more soviet early LCD watch for foreign market is in my collection. There's no any name, only QUARTZ on the plastic glass. Sometimes you can find it as Meister Anker. 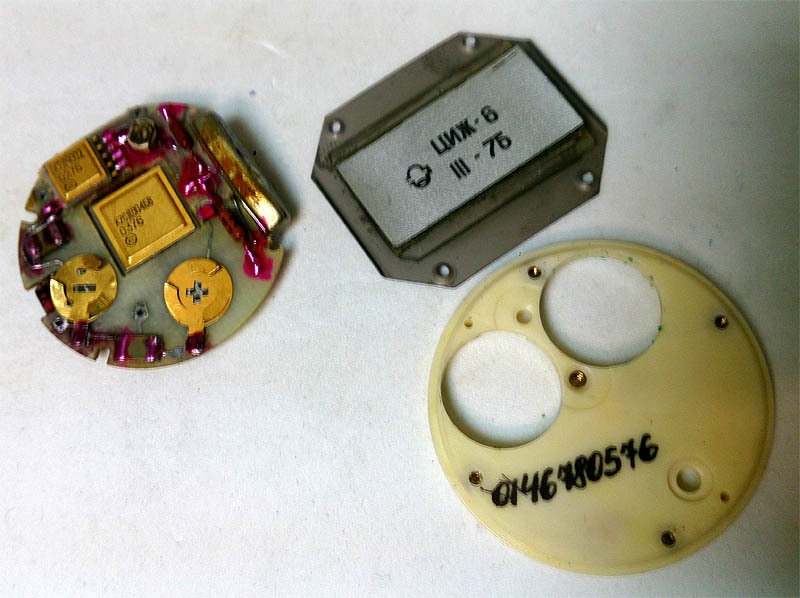 The module was produced in May 76, design is common for more early model with smaller LCD. The watch came to me from Germany, fully complete with original parts. After changing diodes it started with perfect accuracy. just a few different types of cases of Elektronica 3049 I had found in 3 years. 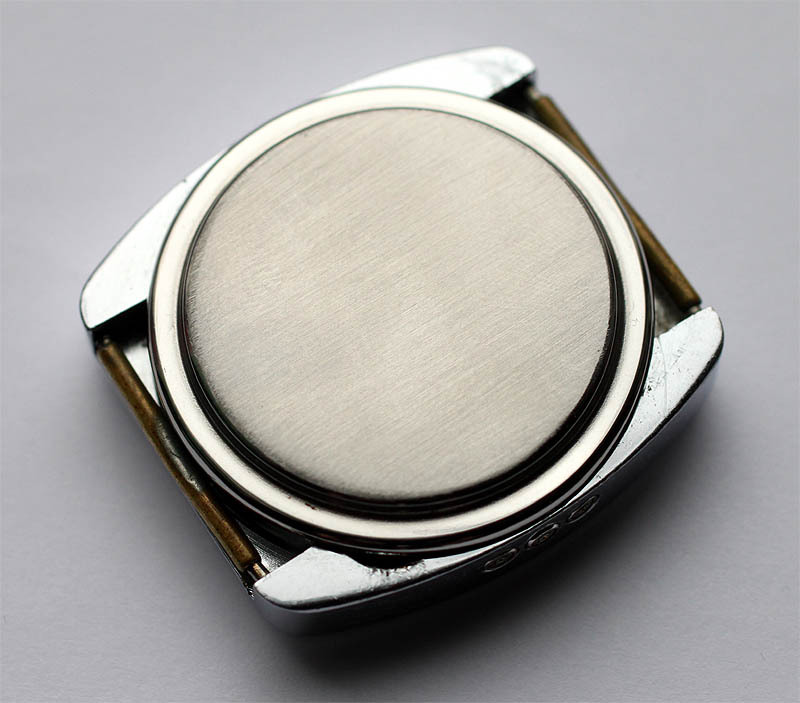 The difference in style of case, color (Chrome, Gold) and manner of finishing (shiny, Satin brush, combination). 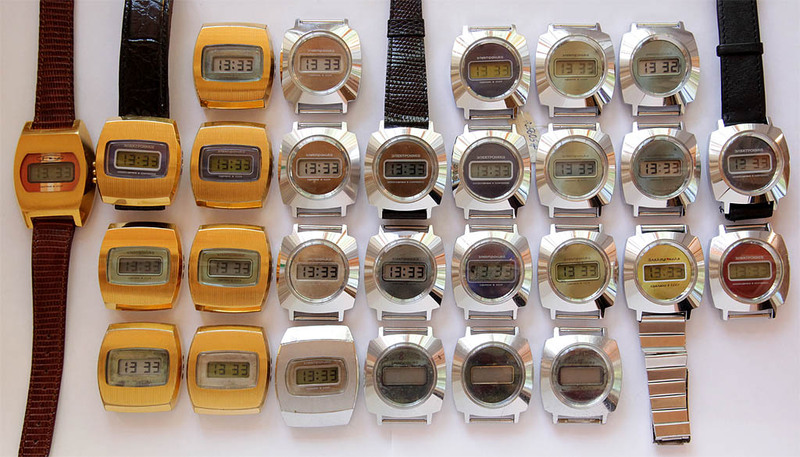 The left model and the first in the bottom row are made of stainless steel - qte rare matherial for USSR. Pay attn for models with bracelets. 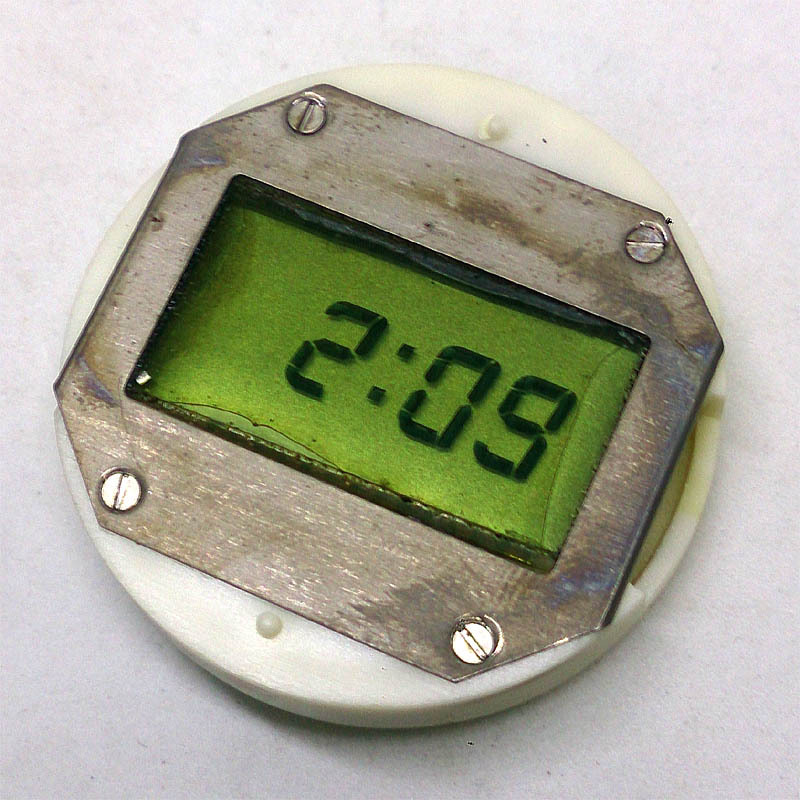 It was not common to make watches with individual bracelets. You could buy some bracelet separately. 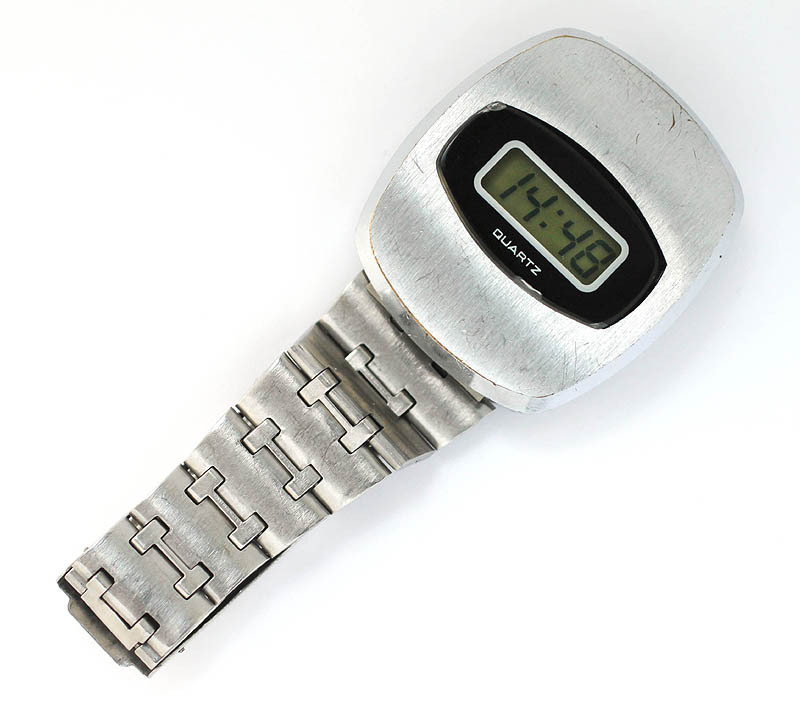 But sometimes watches were equipped with original bracelets. Two models (bottom row two last ones) - are equpped with bracelets in GB and Europe - models are for export only. Incredible shot Andrew. You have to make a wallpaper of it. Imagine this 2 by 1.5 m big printed on glass. One more watch from calendar. There was one interesting calendar for 1977. 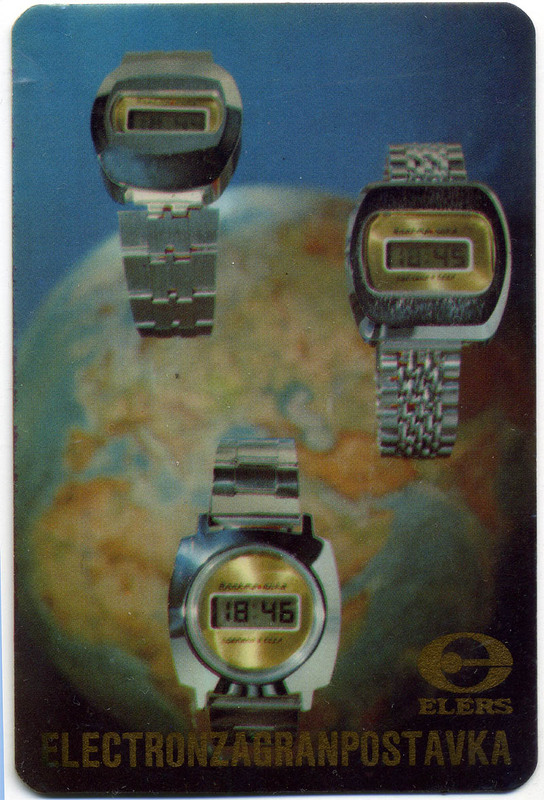 Seems to me these ones - the very first watches from the end of 1974. 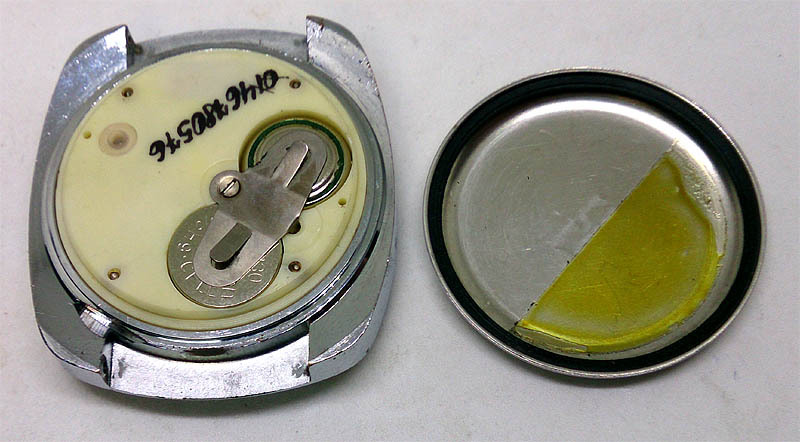 I found one with yellow-lemon dial with traditional shape of case. As to other two - I didn't meet them before. 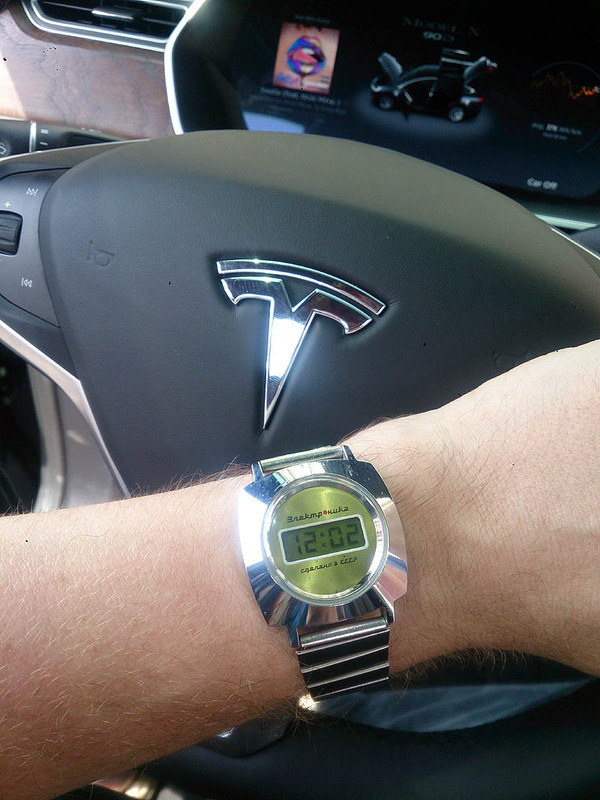 But in January I found a watch with very interesting design. 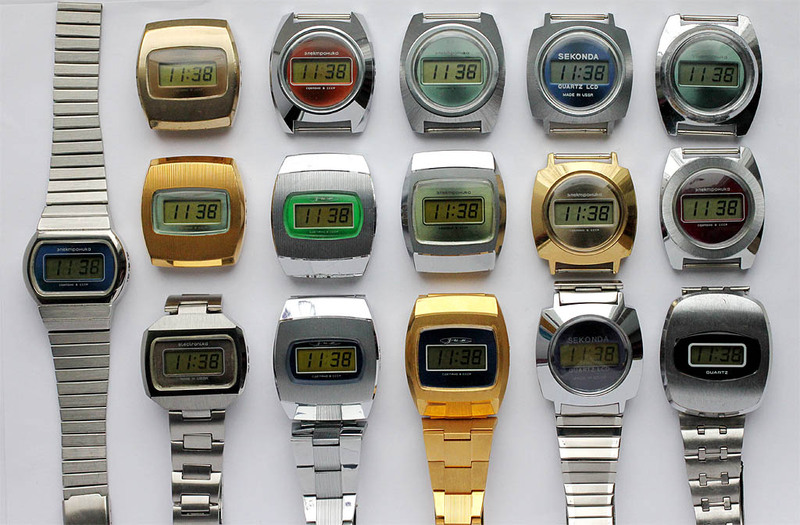 The case is the similar like in calendar (the second watch) but transparent glass replaced on painted one. Design of glass is very similar to Microma. 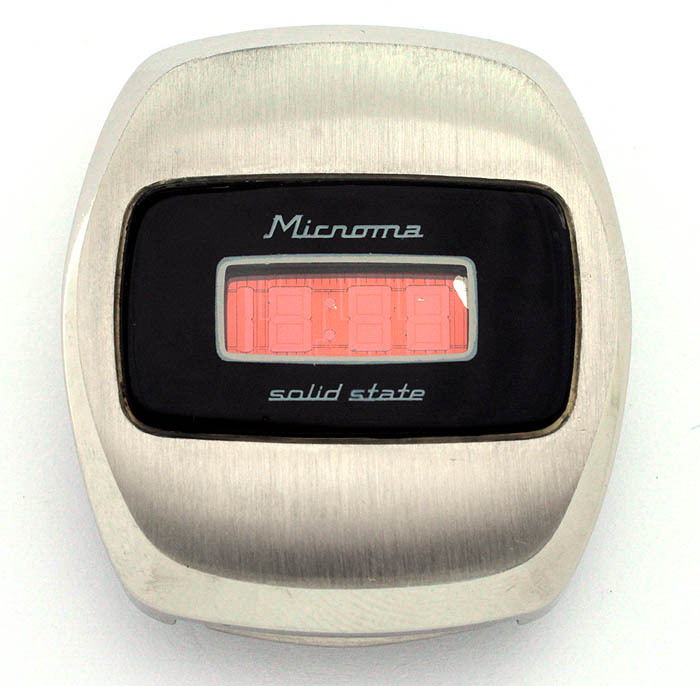 Microma really was a proto for the first LCD digital watches.